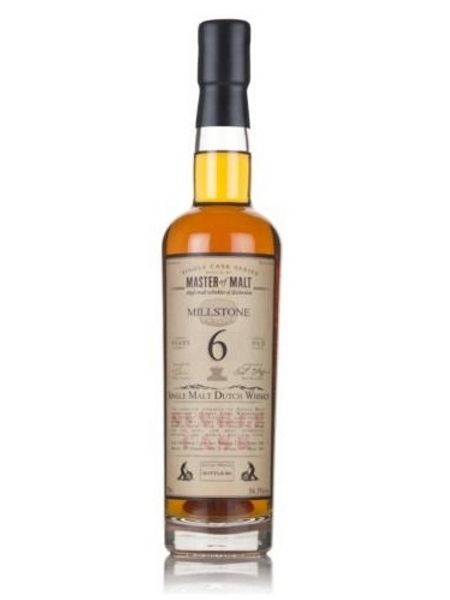 Millstone 6 year old single malt, single cask was selected from the Zuidam distillery in Holland. The Millstone brand was choosen to honour the traditional Dutch windmills which milled the malt for the distillery. This is a single cask offering, matured in a bourbon barrel, probably first-fill, and carrys a fair punch being bottled at 55.3% ABV.